… you must have deeper teaching. You can’t get to deeper learning with worksheets and end-of-chapter review questions. You can’t get to deeper learning with self-paced adaptive learning modules that emphasize facts and procedures. You can’t get to deeper learning with multiple-choice software and apps. You can’t get to deeper learning without actually changing day-to-day lessons and units. You can’t get to deeper learning without shifting toward critical thinking, problem-solving, student agency, and authentic work. You can’t get to deeper learning without changing your teacher observation and evaluation rubrics. You can’t get to deeper learning without changing your classroom walkthrough templates. You can’t get to deeper learning without changing your hiring criteria and interview protocols. You can’t get to deeper learning without changing what you ask PLCs to focus on. You can’t get to deeper learning without changing your professional learning structures. You can’t get to deeper learning without changing your budget. You can’t get to deeper learning without changing the types of concrete ‘look fors’ and ‘think abouts’ that you prioritize as a school leadership team. You can’t get to deeper learning with replicative, shallow instruction and status quo leadership behaviors. You can’t get to deeper learning without taking risks. Your new 21st century learning framework is awesome. How are you going to ensure it’s more than just lip service? The protocol is designed to honor instructor purpose. In our workshops and new book – and as the #1 suggestion on the protocol itself – we emphasize that it’s much better if a teacher identifies a protocol section or a few bullet points to focus on. The goal of the protocol is to help educators gradually shift their instructional practice and build new skill sets, mindsets, and competencies. If we force teachers to work on areas that they’re not ready for or comfortable with yet because it’s on a walkthrough template, we risk alienating them from the important work that we want them to do. We encourage giving teachers as much choice as possible regarding which sections to work on, which items to work on within a section, and how deep to go on any particular item. If we use the protocol in this manner, it can be very accommodating of teachers’ different instructional orientations, skill sets, and comfort levels. The protocol is designed to be as nonjudgmental as possible. One of the problems with SAMR and the Arizona / Florida Technology Integration Matrices, for instance, is that there is inherent judgment when we place teachers’ instructional practice into levels. As soon as we tell a teacher that she’s at the Substitution level on SAMR, for example, she’s going to feel at least a little bit judged and perhaps a lot defensive. That is not the stance with which we want to approach instructional redesign conversations. We frame the protocol as a discussion tool that hopefully can help us accomplish the goals that we set for a particular instructional activity. We’re not interested in judging anyone. We ARE interested in helping educators identify what they want to work on and then using the protocol to help them get there. As we say in the book, we encourage educators to think about the protocol sections as sets of experiences that we want students to have multiple times each school year. Do we want students to have multiple opportunities for deeper learning this year? To have multiple opportunities for agency over their own learning this year? To have multiple opportunities to engage in authentic, real world work this year? To have multiple opportunities to use technology in meaningful ways and boost their communication and collaboration skills this year? A big YES to all of those. But today or this week – for this particular lesson or unit – we’re just hitting a few bullet points. Don’t bug us about the other ones – those happen at other times during the year. It would be okay to ask us about our plans to cover each of the sections multiple times over the course of this year. But please don’t mark us down for only focusing on one section or a few items in this lesson or unit. That’s exactly what we should be doing. Give us some feedback and suggestions in a pre- and post-conversation about what you see regarding the few questions that we’re focusing on, but please honor our intentionality. I hope all of this makes sense. 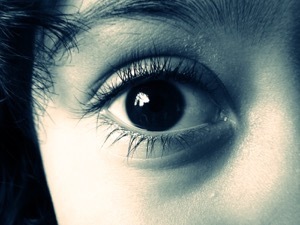 The only way I might be comfortable using the protocol as a walkthrough or observation device was if it was used occasionally as an environmental scan, just to take a pulse of what’s happening – or not – within a school across classrooms. Otherwise, we encourage everyone to use the protocol as a conversation sparker and redesign tool, not a mechanism for judgment. Thanks. Let me know your thoughts! 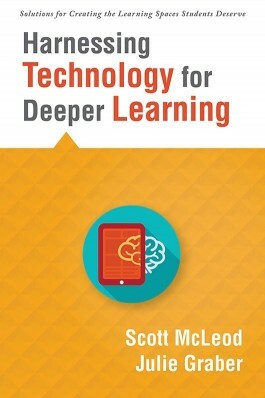 Our new book, Harnessing Technology for Deeper Learning, was released today! After 4+ years of piloting our 4 Shifts discussion protocol with thousands of educators, I am delighted to announce that our new book, Harnessing Technology for Deeper Learning, is now available! Over the past few years the protocol has really started to take off. In schools and districts all around the world, we have teachers, principals, instructional coaches, and technology integrationists who are integrating the protocol into their instructional (re)design work. We are finding that the protocol accommodates a variety of educator starting points, skill sets, and comfort levels. It’s a great complement to SAMR because it’s an instructional discussion tool, not just a technology usage continuum. And it’s occupying a wonderful design space between more traditional practice and full blown, ‘gold standard,’ multiple-week PBL projects. To celebrate the book’s release, Julie Graber and I are inviting educators to participate in the #4Shifts Challenge and publicly (re)design a lesson, unit, or instructional activity using several of the sections or bullet points in the protocol as levers for (re)design. If we want deeper learning, greater student agency, more authentic work, and rich technology infusion to happen, we have to design for them. We hope that you will join us in sharing what powerful instructional redesign can look like. We need examples that we can point educators to for inspiration! If you’re game, simply post your redesign and share it using the #4Shifts hashtag, which will help us find your post and drive some traffic to your site! Thanks! Why buy the book when the protocol is free?! The protocol is open source and always will be, as will numerous other resources on the 4 Shifts Protocol resource page. Feel free to use and/or modify those resources as desired. The new book, however, takes a deeper dive with the protocol. In the book we provide eight concrete examples of lesson and unit (re)design so that you can see the protocol in practice across various grade levels and subject areas. The book is aimed squarely at practitioners and their day-to-day instructional (re)design needs. We also explain in the book why we think the protocol is a great complement to SAMR, TPACK, RAT, PIC-RAT, and the Arizona and Florida Technology Integration Matrices. And we include numerous tips and suggestions for using the protocol in your school(s)! Let Julie and I know what you think. Please reach out if you have questions or if there are ways that we can be of support to you. We are happy to set up a chat to address questions or concerns and share how we are using the protocol with educators. And if you feel like leaving us an Amazon review, we’d love that too! A great big thank you to the thousands of educators who have helped make the protocol better!